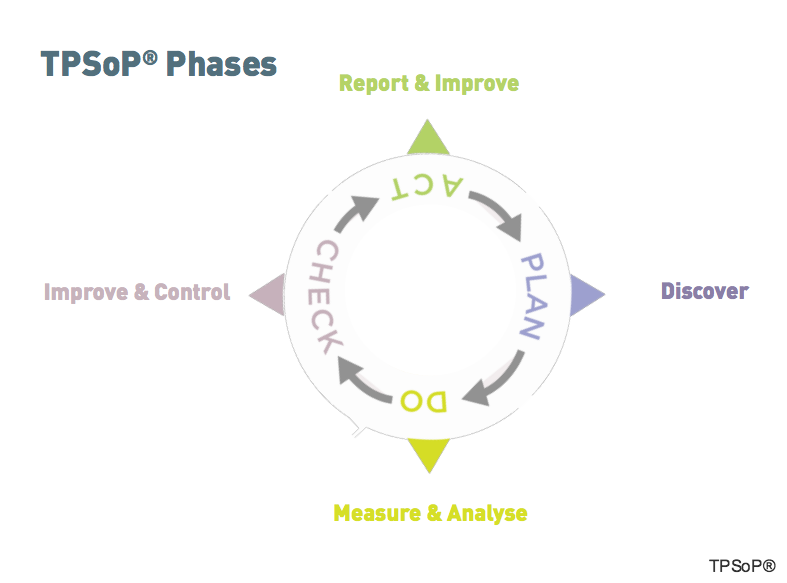 TPSoP® Implementation - What can you expect? TPSoP® allows processes and procedures to be addressed as one single project or a number of smaller, discrete projects. In either instance, the full methodology and rigour is applied, ensuring a consistent outcome that is aligned to the business and management frameworks and standards. The project governance to ensure it succeeds. Our Process Architect(s) develop the Management Framework and translate them into Management Processes. Our Expert Team of lean, six sigma and BPM specialists develop or convert your procedures into on-line processes and procedures, linking them to all artefacts required for their execution, efficiently and effectively. 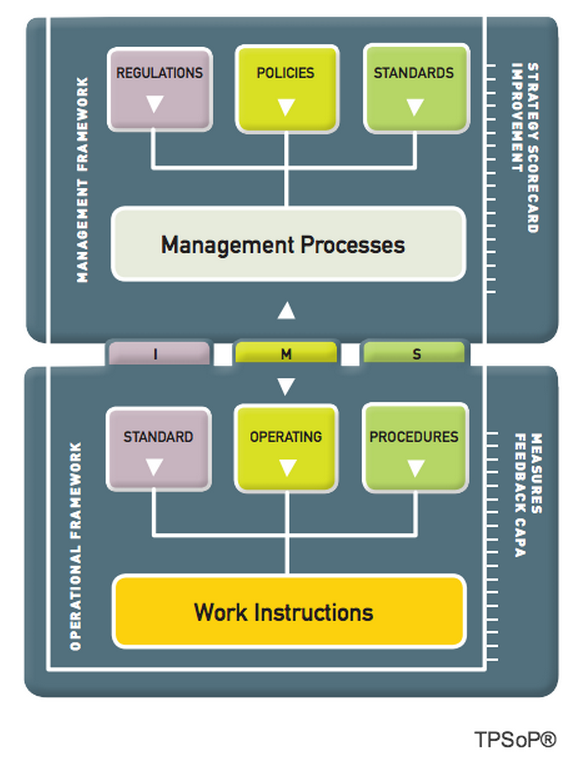 The Management Framework and the processes are integrated, creating an Integrated Management System as represented below. Improved online processes and procedures are published to personalised “landing pages” using automated workflow, access control and audit trails. Role based storyboards are developed, ensuring that Users are correctly trained, and they can access processes easily for on-demand consumption. Control is about proving the benefits. 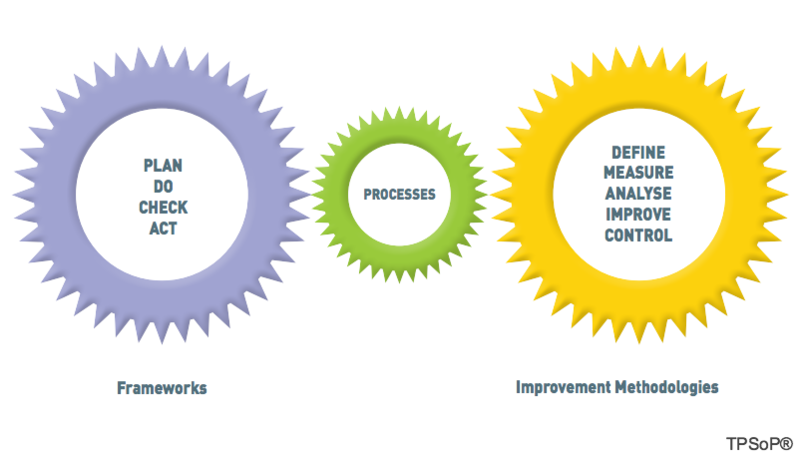 The Report & Improve phase is about maintaining the gains, managing and improving. Day-to-day management, reporting, process scorecards, ad-hoc and solicited user feedback, formal and informal reviews provide incomparable input to keeping the processes “live”, relevant and accurate, contributing to the governance, risk and compliance agenda, fast-tracking changes e.g. regulatory and continual improvement.